I’m sorry you’re feeling grumpy. I hope you feel better soon! I’m just a little paranoid because of stress. I think it’s going around. 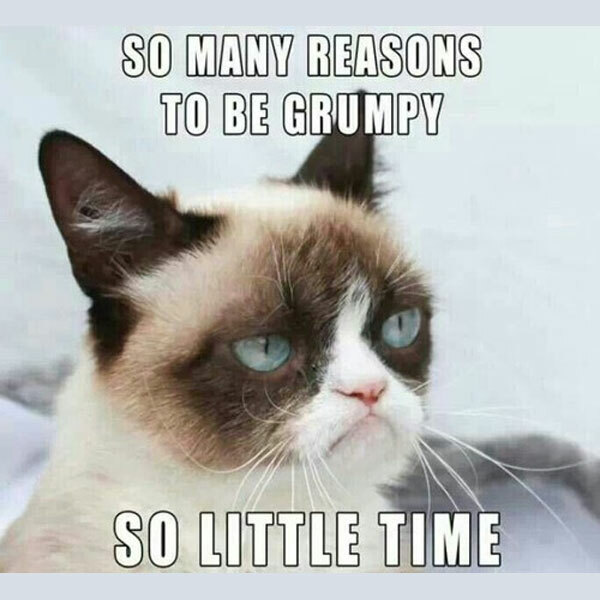 I’m grumpy because of stress, too.